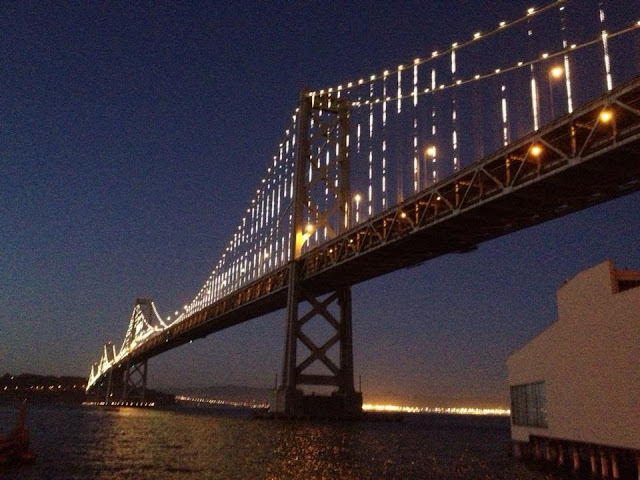 “If I do go to heaven, I’m going to do what every San Franciscan does who goes to heaven. He looks around and says,'It ain’t bad, but it ain’t San Francisco.”– Herb Caen Thenews about the Oakland-San Francisco Bay Bridge closurethis Labor Day weekend, to taketheoriginal East Span out of serviceand to openthenew East Span to traffic, brought about a lot of nostalgiaandadded to an alreadyveryemotionalweek. My sisterand I foundoldnewspapers, “The San Francisco Chronicle” and “The Examiner” datingback to the 1940’s whilesorting out ourdeceasedloved one’s stuff. Reading Herb Caen's columnreminded me of my mother. Herb Caen was a San Francisco Chronicle columnistwhocoinedtheterm “Baghdad by the Bay” to reflect San Francisco's exotic multiculturalism. As an intrepidtraveler, I havebeen a bigfan of Camille Seaman'swork. 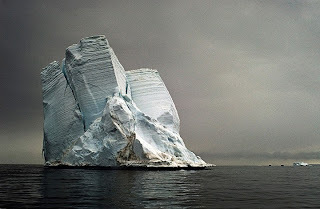 Camille Seaman is a 2013 TED Senior Fellow and Stanford Knight Fellow famousfor photographing icebergsandclouds. About a monthago, I revisited Camille’s project, "The Last Iceberg: Melting Away" hoping to drawinspirationfor my trip to Patagonia in November. Unbeknown to me that one piece of art would trigger suchan emotionalconnection with me andgive solace in my grief two weekslater. Whilekeepingvigil at my mother’s bedside, I could not gettheimage out of my mind. Asiftheimageweretelling me thatallthingsmove toward their endandthatwe are justanotherfacet of thenaturalwhole, we are allpart of theearth, andtheearth is part of us. It was okay to letgo. I wrotethispoem about thelasticebergprior to my mother passing and would like to dedicateit to her.